I bet you never thought eating carrot cake could help you get a healthy gut. I make it a point to give you healthy eating recipes that are far from boring, and this one is a perfect example. 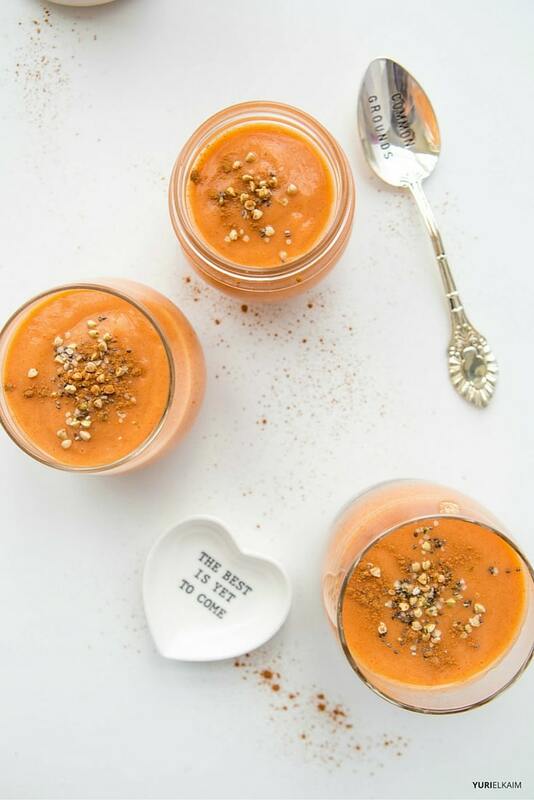 This luscious smoothie is as deeply satisfying as a slice of carrot cake, but thanks to the amazing ingredients it contains, it will also give you a boost of healthy gut flora. It all comes down to one key ingredient, and it’s not carrot. There’s a good chance you’ve never heard of raw potato starch before. It’s a surefire way to get a healthy gut. If you’re new to it, you’ll want to start slow by adding just 1 teaspoon daily to your healthy smoothies and working up to 2 to ­4 teaspoons every day. But wait—doesn’t starch have a bad reputation in the nutrition world? Doesn’t it spike your blood sugar and make you pack on the pounds? Some starch certainly does, but resistant starch—like raw potato starch—is actually good for you. It doesn’t break down into glucose, and it’s basically resistant to digestion. This has important implications for your health, and is backed by scientific studies. One of the very best healthy gut foods, resistant starch functions a lot like soluble fiber, passing through the stomach and small intestine undigested. When it reaches the colon, it becomes food for the gut microbiome. This feeding of the gut bacteria positively affects specific hormone levels in the body, acting to stabilize blood sugar regulation and improve insulin sensitivity. That’s good news for diabetics! 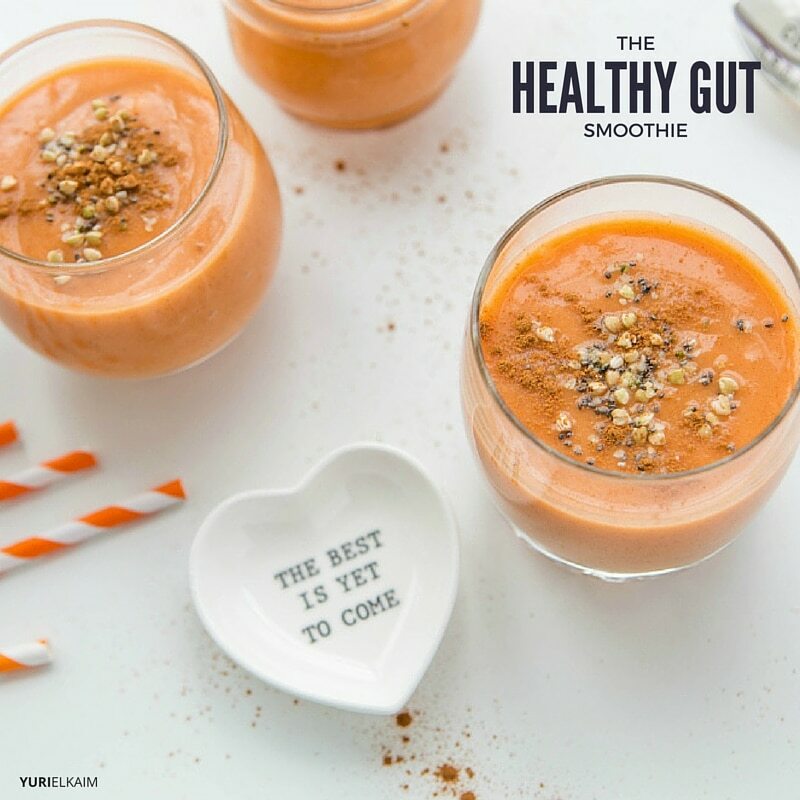 This smoothie is not only great for your gut health and blood sugar, it also tastes like an indulgent treat! 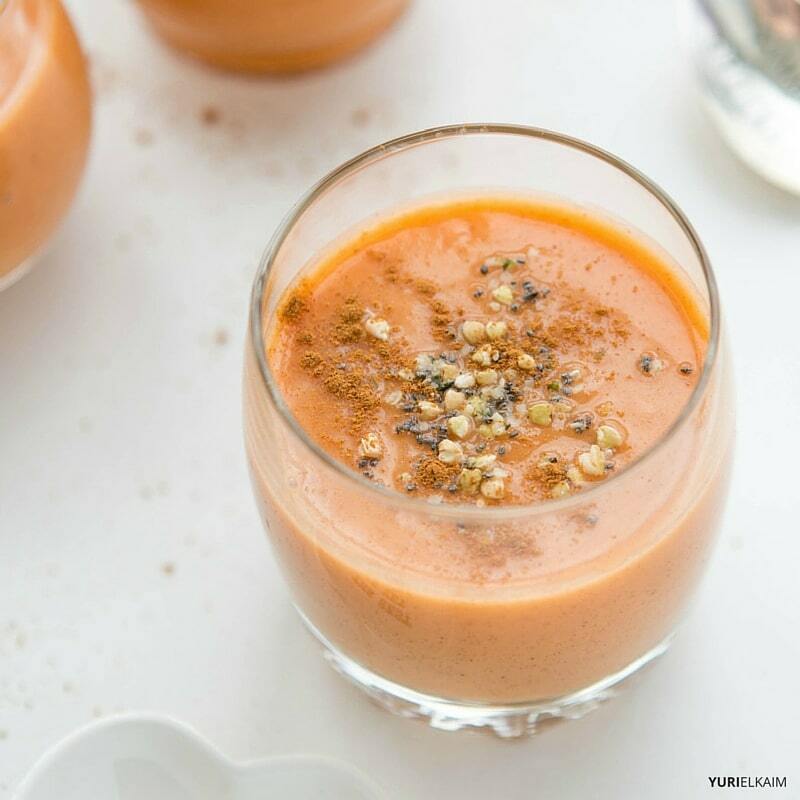 Sweet potato, carrot juice, and vibrant spices turn this elixir into a delicious, healthy smoothie. You’ll also be gaining health benefits from the beta-carotene in the sweet potato and carrot juice for eye health, an immune boost, and glowing skin. As if that’s not enough, the sweet potato and spices also offer up anti-inflammatory protection from chronic diseases. Give potato starch a try in this yummy smoothie to reap the many health benefits from resistant starch! Give potato starch a try in this yummy smoothie to reap the many health benefits from resistant starch. Get a healthy gut and stabilize your blood sugar with this delicious drink. Blend all in a hi­-speed blender until smooth.